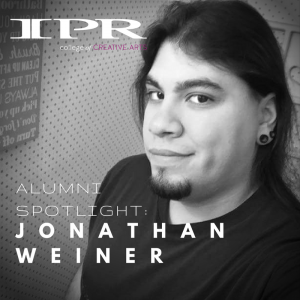 Jonathan Weiner, alumni of the Live Sound and Show Production and Audio Production and Engineering programs at IPR recounts his experiences within the industry, migrating to California to follow his dreams, and his advice for students and graduates of the programs. Where are you working at the moment? What is your job there? Can you explain what each duty entails? I am a Live Sound Engineer working for Speeda Sound out of Fresno, CA. From about March-October we run sound stages at fairs and festivals around the state of California, which can range from a few days to a few weeks in duration. When working at a fair, I typically run my own medium sized band stage that may have anywhere from 3-9+ acts on them per day. I’ll set up the stage for each act, mix the band, tear down, rinse and repeat for sometimes 10+ hours a day. The company may work up to 3 or 4 events simultaneously, so there is always a lot to do and learn. During the off season I work in the shop, maintaining and preparing gear to go out for the next event. It’s not always glamorous work, but it is extremely satisfying at the end of the day. What are some key projects you have worked on so far? We do individual one off shows from time to time, and one gig that I got to work was doing setup and tear down for the Wiz Khalifa show in Fresno. This position has allowed me to travel around California for fairs including Santa Rosa, Pleasanton (near San Francisco), and SoCal. I also got to meet Dennis Quaid briefly backstage after his band’s performance at one of the fairs. Do you feel that your education at IPR helped you get to where you are? If so, how? Yes, most definitely. I learned many of the fundamentals about sound and live performance that are paramount to beginning as a live sound engineer in a high stress environment. I learned how to network and improve on my own communication and attitude, which has sometimes gotten me a lot further than just with my skills at the console. My education and IPR strengthened so much more than just my technical skills, and taught me to challenge myself and to push my own limits. I really enjoyed being surrounded by like-minded individuals. I wasn’t lucky enough to find this while attending school before IPR, and it really made a huge difference in keeping myself motivated and working towards my goals. There were many instructors that opened my eyes to different opportunities and showed me what I was capable of. I don’t think that I would have gotten this far without the assistance from these people and experiences I was exposed to. Which classes or teachers did you find most helpful for your career? Identify the classes or teachers and explain why. All of my live sound classes were life changing, and Peter Greenlund really helped ignite a passion inside of me that that I didn’t even realize I had. I completed the audio production program first and had hopes for a career in a studio environment, but it wasn’t until I began my second degree in live sound that I realized my own potential in show production. I was also lucky enough to have a number of classes with Portia Heller while attending IPR, and she really pushed me to think about difficult topics and challenge my own mind. Everyone has their good days and bad days, and being surrounded by people like Portia can make the bad ones not so bad, and the good ones even better. I grew a lot from almost every instructor that I had, whether that be through new skills learned, or life lessons taught—and I am very thankful for that. Know your worth–it played a BIG factor in getting the pay I needed to move out here for this job. I had a number of conversations with Peter Greenlund even during my last quarter or two about compensation expectations and how to value your own time without cutting yourself short. I had originally turned this job down because of low pay, but I stood my ground and knew what I was worth. They called back a few months later to renegotiate, and I now feel that my earnings are fair. I can definitely tell that standing firm has earned myself some additional respect from my employer. Are there any new and upcoming things we should know about you or the facility you work at? I am hoping to be working the main stages at some fairs by next year, and hopefully become a crew chief soon thereafter to further my responsibilities and learning experiences. Were there any big projects you undertook in your production or engineering capstone that laid the groundwork for some of the things you’re doing now? My live sound capstone ended up being full of unexpected issues that needed to be addressed in a moment’s notice, which helped me prepare for live sound in the real world. There were only two of us in the class by the end of the quarter, and so much work needed to be done to put on our Big Show. We may not have come out the other end smelling like roses, but everything got done and that is a lesson in and of itself. It really doesn’t get much more real world than that. What do you think it means to be successful in this industry? Everyone has their own goals and things that they want out of this industry. Being successful for some may be getting to mix huge bands while to others, being a system tech or working corporate events may be a more attractive alternative. Personally, I feel success is coming home feeling that I truly earned my pay at a job where I am making an impact at a live show for people. What advice would you offer to students who are either just getting ready to graduate or who are wondering how to find their place in this industry? Explore everything you can in the industry to see what kind of work you excel at and enjoy the most. There is so much work in the audio industry that most people don’t think about during their time at IPR, and you never know what you may enjoy until you try it. Versatility will also make you more employable, so it really is a win-win situation to take on new challenges and experiences you can even if they are outside of your comfort zone. I would also advise other students to really work hard to prove your consistency and reliability in the industry. I worked a number of part-time jobs for almost a year before taking this job, and during that time I never missed a day of work and tried to make myself as accessible as possible. It’s also important to be able to look at your credentials and work experience from an employer’s point of view and highlight the skills and work that makes sets you apart. There are a lot of people out there willing to take less pay to do more, so if you want to pay the bills doing what you love you will need to make yourself stand out from the crowd. Where do you imagine your career going in the future? I definitely plan to be at this job for the next few years, climbing the ladder and taking on as much leadership responsibility as I can. After that I really want to look into touring opportunities that may present themselves and go back to freelance work. I really enjoy traveling so the more of that I can get, the better. Was there anything that you had to wait until you were out in the industry to learn—that couldn’t be taught? Countless things. There was so much that I didn’t know when I moved out here, but I was able to pick up much of it very quickly. I quickly discovered that the learning experience will never really end, and each day of work presents itself with new things to add to my list of skills and knowledge. No one really expects you to know everything, but being able to pick things up quickly and carrying yourself with a mature attitude goes so much farther than acting like a know-it-all and complaining all the time when things don’t go as planned. This is a service industry after all, and people want to work with others who help get the job done right and while keeping the peace.